We've been traveling in Southeast Asia for the past eight months and it's clear some places are better designed for young single travelers who are looking to party. Granted, many of the best party spots are also the best tourist spots too. Naturally, we also enjoyed our family time at these locations despite the distant (sometimes not so distant) thumping of club music. It's obvious that all of the major cities in each country will provide ample ways to get your groove on. Bangkok is already world famous for its wild nightlife. But there are also plenty of party spots for backpackers off the beaten trail. So once you find cheap flights to the hubs of Southeast Asia, make your way to these destinations for guaranteed good times. Vang Vieng, Laos: Vang Vieng is a small village nestled between breathtaking limestone bluffs and split by the picturesque Nam Song River. This peaceful town, 3-hours from the capital Vientiane, is a backpacker's paradise. Daily activities include hiking, mountain climbing, caving, motorbiking, hot air balloon rides, and the famous river tubing in Vang Vieng - a leisurely path lined with bars (including one appropriately named 'FUBAR') and death-defying activities from water slides to trapeze swings. The average age of tourists in Vang Vieng appears to be about 20, and the town clearly caters to partiers with several night clubs and bars, and TV lounges where you can comfortably ease your hangover from the previous night's festivities. Pai, Thailand: Pai is another small town with similar attributes as Vang Vieng. Somewhat known as a hippie enclave which hosts an annual Reggae festival, Pai Thailand is a fun place for kids and is definitely a peaceful place to chill out. But that doesn't mean it's boring. Only a 3-hour drive from Chiang Mai, Pai offers great hiking, biking and river tubing. There are many excellent restaurants and many unique outdoor bars and clubs with fire pits to entertain yourself during chilly mountain evenings. You can rent motorbikes for about $5 a day to explore the beautiful countryside, to visit the elephant farms, natural hot springs, waterfalls and caves. You will find no shortage of other single backpackers roaming the streets of Pai. 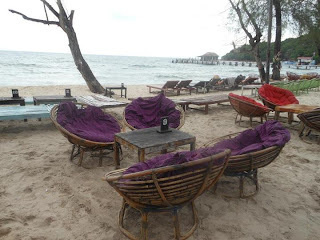 Sihanoukville, Cambodia: When you think of places to party in South East Asia, Cambodia travel is not the first thought that comes to mind. But you will find each major tourist area in Cambodia has plenty of bars and clubs filled with other backpackers. In fact, there's a road in Siem Reap called Pub Street which is a mini version of Bangkok's Khao San Road. 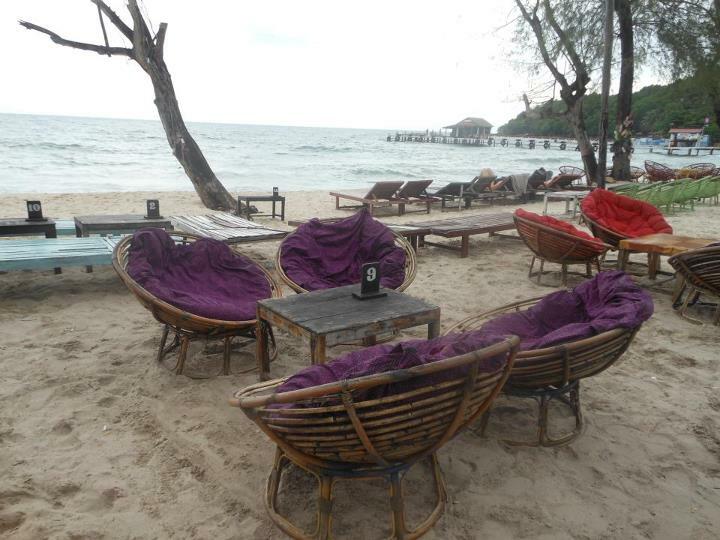 However, the best place to party in Cambodia is down at the beaches in Sihanoukville. This laid back area seems like it was designed solely to cater to backpackers with cheap but clean hotels and hostels, countless bars and clubs, jet skis, scuba diving and water slides, and tuk tuk drivers making sure you can find a cheap bag of weed. It even has 24-hour private movie theaters for the late-night date or to fester during the day while you recover from your hangover. Georgetown, Malaysia: Georgetown is the capital city on the island of Penang and where you'll find most of your fellow backpackers partying. The colonial buildings in the older part of town all seem to be guest houses with bars and restaurants. Besides the party scene, there are modern malls and some chain restaurants. Additionally, there are many sites in Penang easily accessible from Georgetown where you will find beaches, jet skis rentals, and other clubs. There is also no shortage of street markets to explore day or night. These are just some of the highlights in the area, as you can pretty much find a party anywhere along the tourist trail in Southeast Asia. And travel to and from Southeast Asia from nearly anywhere in the world is easy to book. So, if you're looking for a cheap backpacking vacation with unlimited thrills, you simply won't find a better place for the value. Follow our family travel adventures, like us on Facebook. We actually did not like Phuket very much at all but it is definitely a good place to go to party!